It was all a big set-up. A ruse. A dirty canard. The whole thing was one giant lie. And everybody peddling it — from House Democratic leaders, to Senate Democrats running for president, to the Senate Republican who reported the whole thing in the first place, to the roaring lions of the Great White Media — knew it was a lie. Sure, there are some — take sleazy lawyer Michael Avenatti, for instance — who are so monumentally stupid that he probably did not know that it was all a big con. It is not uncommon for newbies on Washington politics to fall for giant cons while somehow thinking they are doing the Lord’s work. These people think very highly of themselves. But for the most part, all the lizards around here selling this pile of horse manure about Russian hookers, backdoor deals and unprintable bedroom behavior knew it was a big fat lie. They told the lie anyway. They have lied about Donald Trump from the moment he arrived on the political scene and taught them all how it is supposed to be done. As a political force, the candidate found gem after gem that these longtime experts had been ignoring their entire careers. Truly, he gave voice to voiceless millions who for decades have only had these dishonest political eunuchs speaking for them. Now that he is in the White House, President Trump has carried on delivering on issues that regular Americans actually care about. But the press ignores all of those issues. All they care about is the Russia collusion hoax. That is partly because the so-called “reporters” in Washington are entirely cowed into submission by establishment politicians in both parties. They are crotch-licking yard dogs who just want to be allowed up on the porch. In the more than two years since President Trump made fools and liars of them all by winning the White House, the press has gone into overdrive to concoct their next fantasy prediction: Mr. Trump colluded with Russia and partied with hookers in a Moscow hotel. Former Sen. John McCain passed the report on to the authorities. The press peddled the dirty dossier (funded by Democrats in actual collusion with sources in the Kremlin) for years. The New York Times has run nearly 500 stories about it. The Washington Post has run hundreds more. The internet and television have been awash in thousands and thousands more speculative stories about a total mirage. According to the Politico “news” website, Mr. Trump has already been indicted. What a freaking joke all of these people are. They could not get a job cleaning toilets anywhere else in America — and I mean no disrespect to toilet cleaners. My question is this: When are we going to see 500 corrections from all the breathless — and hopelessly false — reporting by The New York Times? Where are the hundreds of corrections from The Washington Post? And what about the days and weeks on end of running corrections on television? The truth is that we will probably never see that. But we should demand it anyway. Of course, what these idiots do not understand is that the rest of America moved on from this “story” a long, long time ago. They quit watching political “news” on television and tuned out all the “Russia” psychobabble. They are more interested in the zooming economy and defending the border and ensuring national security. Voters are always so much smarter than all the political experts in Washington. They instinctively knew it was all a big con job, an effort by the experts to deflect attention away from their own miserable ineptitude. But it is worth stopping now and pondering just how stupid all the experts in Washington really think you are. 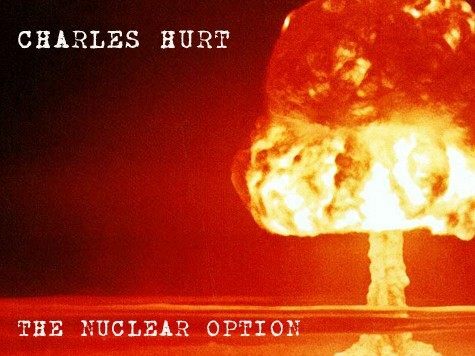 • Contact Charles Hurt at churt@washingtontimes.com or on Twitter @charleshurt.